Muse members Matt Bellamy and Dominick Howard teamed up with Last Shadow Puppets frontman Miles Kane last year to form a Beatles cover supergroup called Dr. Pepper's Jaded Hearts Club Band, and last night (January 16) they reunited — with an extra special guest. 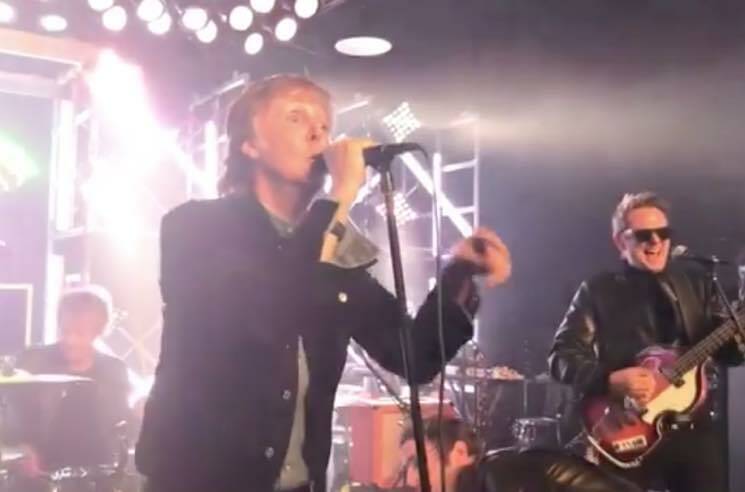 The group performed an intimate gig, but delivered stadium-sized entertainment when they brought out Paul McCartney in the flesh during a rendition of "Helter Skelter." Macca joined the band on vocals, leaving Kane and the Muse dudes in just as much awe as the audience. See footage from the performance via Bellamy's Instagram account below. ​Muse Map Out "Simulation Theory World Tour"
Muse Teach Us All About Mind Infection with New Single "Thought Contagion"